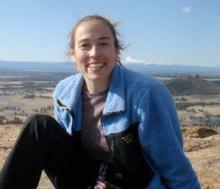 Tara Hudiburg is a new hire at the University of Idaho in the Department of Forest, Rangeland, and Fire Sciences, where she manages an Ecosystem Modeling lab. Her ecosystem modeling and field research focuses on how disturbances and climate affect carbon, water, and nutrient balance in Idaho forests. She received her masters and PhD from Oregon State University. Tara will apply her knowledge and skills to the integrated modeling efforts of the MILES project.